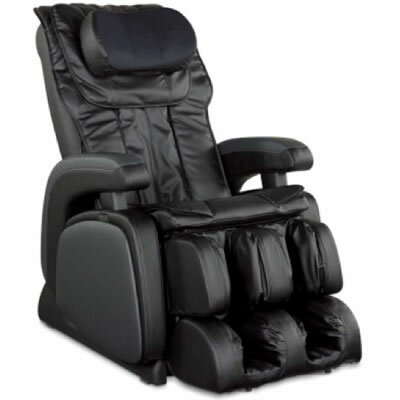 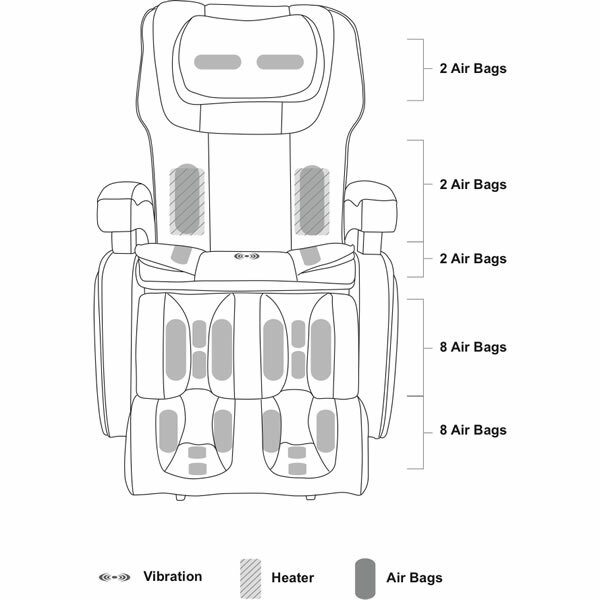 Cozzia's Model 16028 Massage Chair features Zero Gravity recline for better circulation and proper spinal alignment. 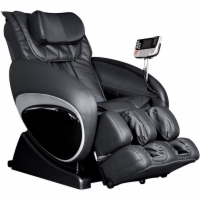 This chair can execute five preset massage routines, all of which are user-customizable for your preferred degree of intensity. Automatic angle adjustment keeps the back and foot rest at the proper coordinates when you recline to ensure comfort, and an air pressure massage system is included to relax your neck, legs, and feet. 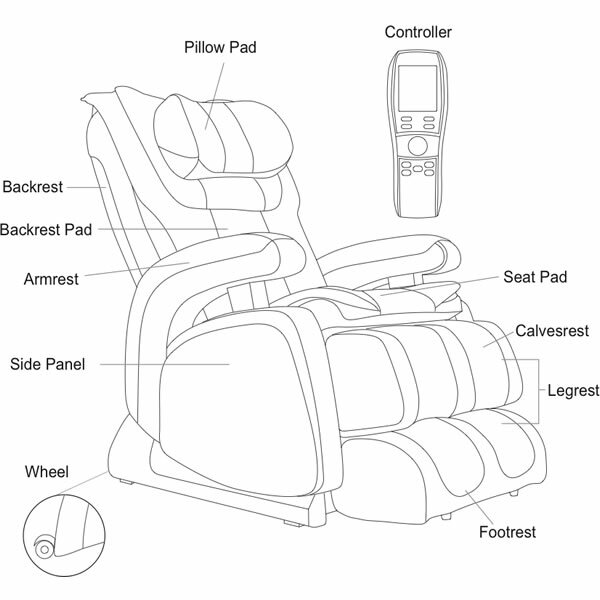 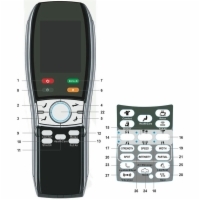 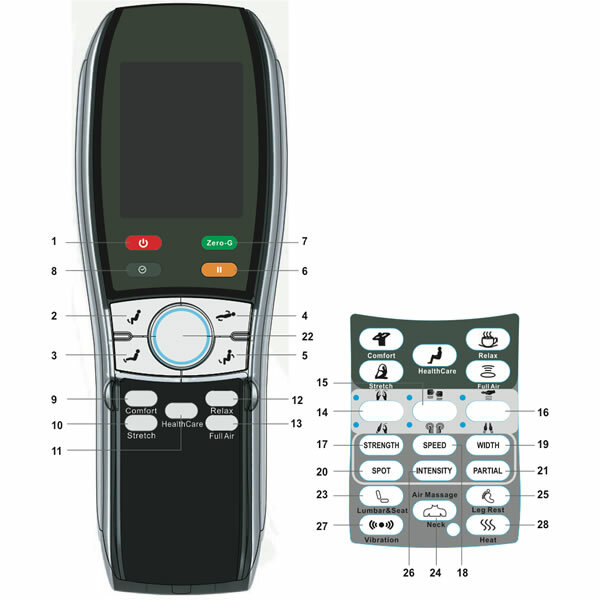 Each massage roller for the back is adjustable - just use the included LED remote control! 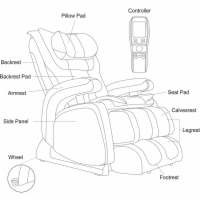 Massage actions include Shiatsu, kneading, tapping, rolling, vibration, and air pressure. 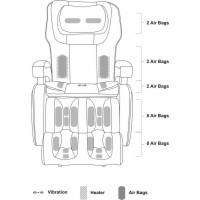 Seat Height - From Floor: 23.64"
Back Height - From Seat: 31.52"